Every year we make cheese olive balls for Christmas Eve and New Year's Eve. These tasty morsels are a family favorite. This year I tried something different, and it worked! I made them in advance, frozen them and then baked them! Here is all you need for one batch. 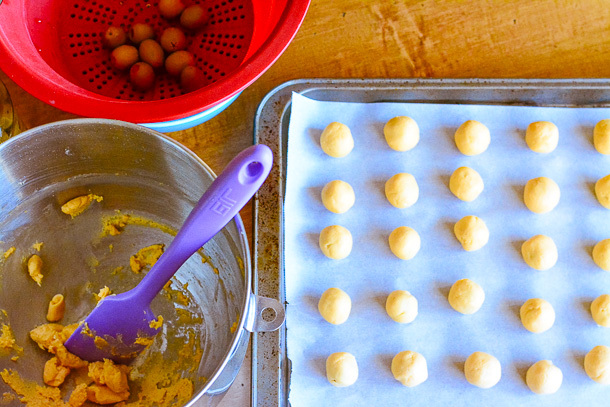 One batch will yield about 48 cheese olive balls. I usually double my recipe for 6 people, they are that good. Here is what the dough will look like. It will be stiff enough for you to grab it with your fingers and roll it like play-dough. I'm right handed, so, I worked from left upper, left lower to the right. 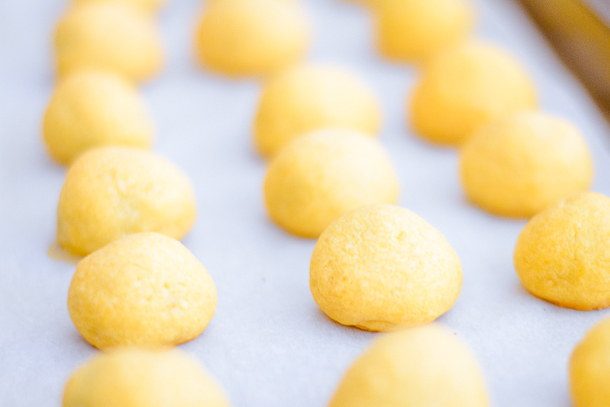 To freeze them: after you roll them, put them in a freezer bag. When you are ready to bake, pull them out of the freezer and place on the parchment lined paper and bake per the below recipe card. As I was making these and listening to music, I thought about how I had to show my husband how to roll them, so I figured what the heck, I'll video this real quick. So, for here until eternity, is a video on how to roll cheese olive snacks so that you don't use too much dough. 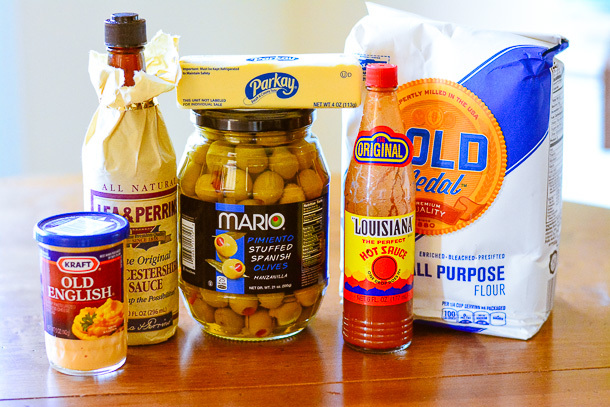 :) The more dough you have in the bowl, the more cheese olive balls you can have! - very important!!! 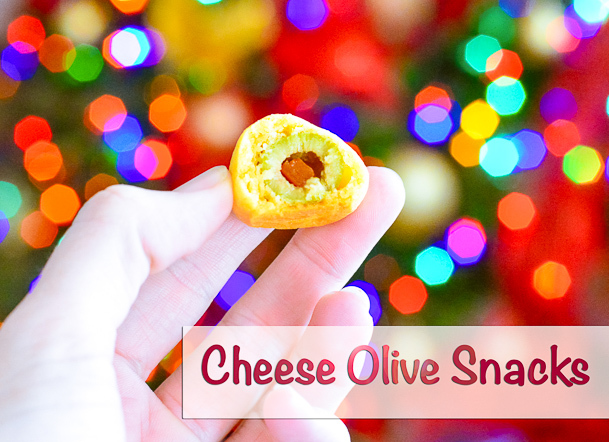 After you bake them, you'll have a beautiful line of cheese olive snacks. And I kid you not, once one male member of your family tastes one of these, they'll try to eat them as soon as they come out of the oven (because they can't wait the 5 minutes for them to cool) and brilliantly declare -'they're hot". Every...year...this happens! Blend cheese and butter till light and fluffy. Add hot pepper sauce and Worcestershire sauce and mix well. 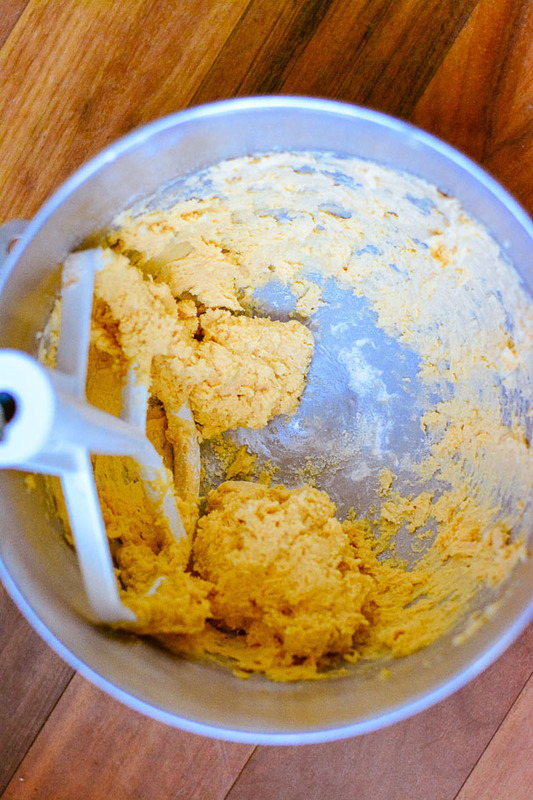 Stir in flour (mixer on low speed) to form dough. Shape dough around the olive, using about 1 tsp of dough for each. Place on ungreased baking sheet or parchment paper. Bake in hot oven for 12 - 15 minutes or till golden brown. 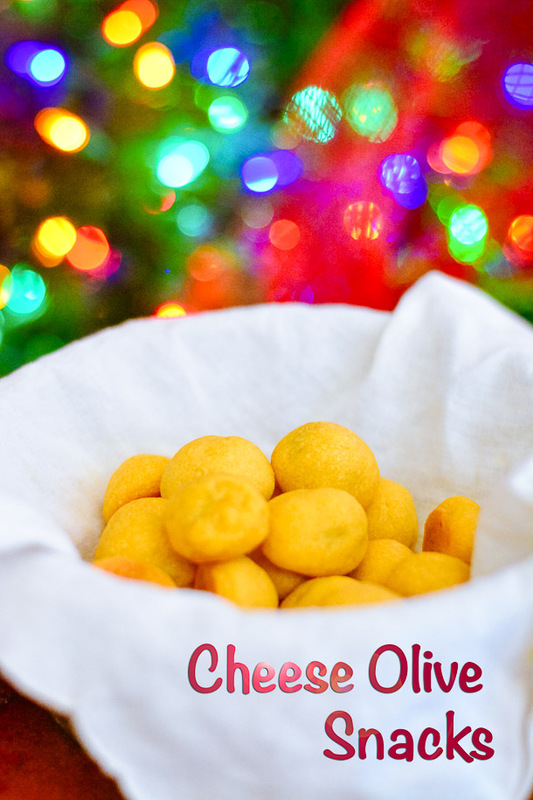 The Cheese Olive Balls are my go-to appetizer, what is your go-to appetizer? (feel free to leave a link)"